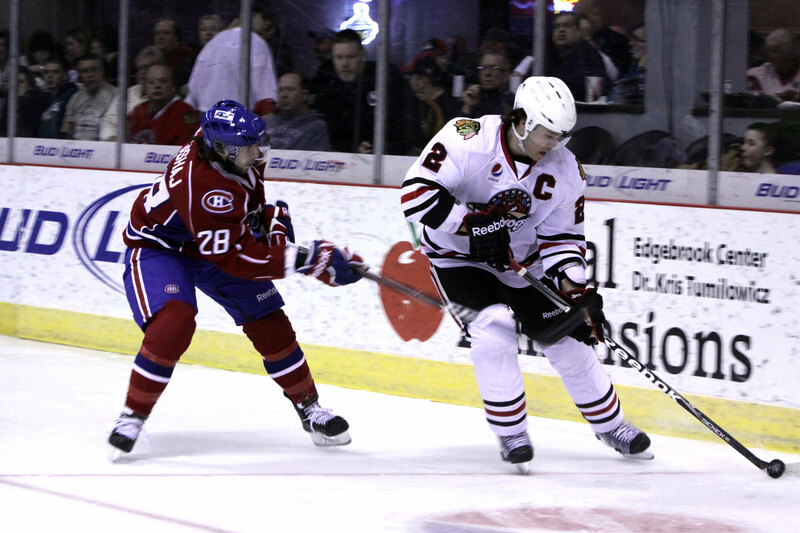 Rockford, Ill.- Stringing together their fourth-straight win at home and third-straight overall, the Rockford IceHogs finished off the Milwaukee Admirals 3-2 in overtime in front of 5,455 fans at the Rockford MetroCentre. 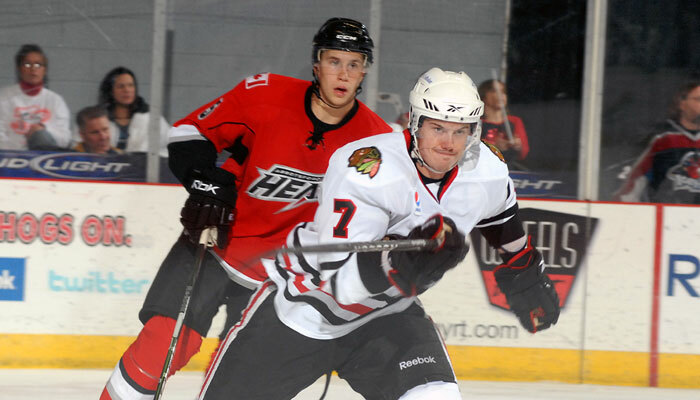 Rockford, Ill.- Fans got their monies worth on the last Taco Bell Dollar Days as it was all Rockford IceHogs in their 5-1 win over the San Antonio Rampage on Wednesday night at the Rockford MetroCentre. 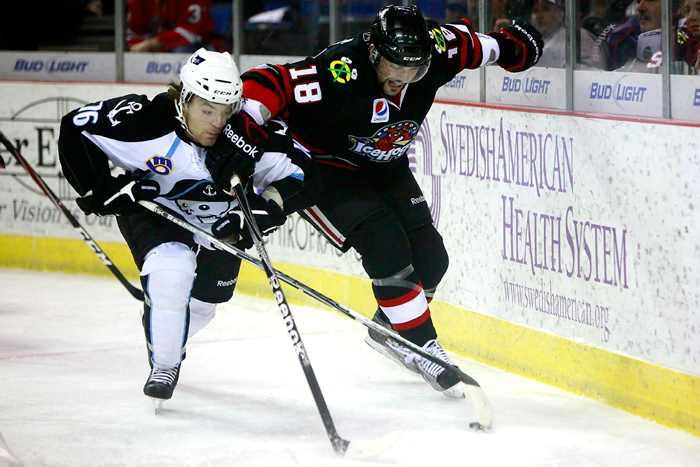 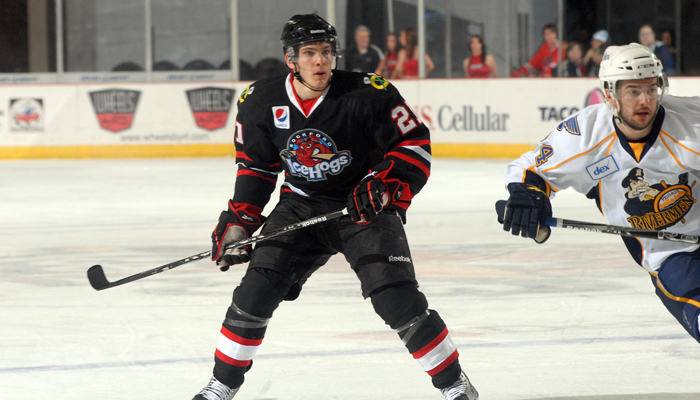 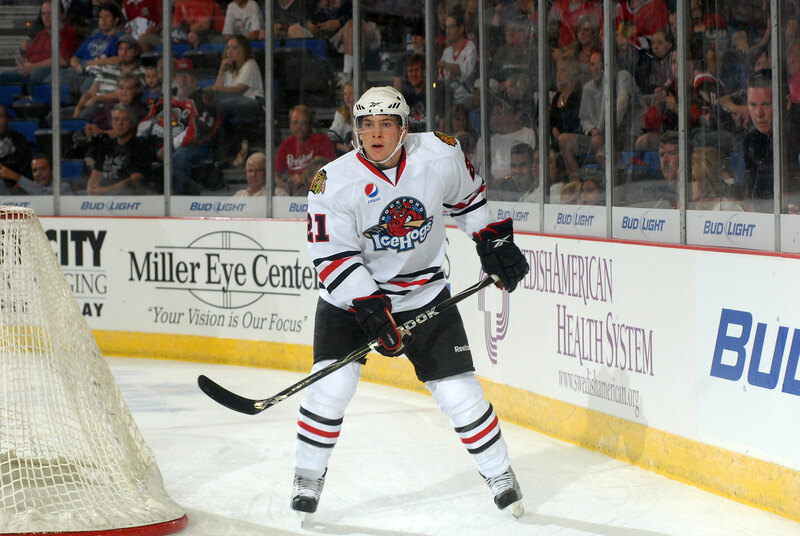 Chicago, Ill.-The Chicago Blackhawks have assigned forward Ben Smith to the American Hockey League’s Rockford IceHogs. 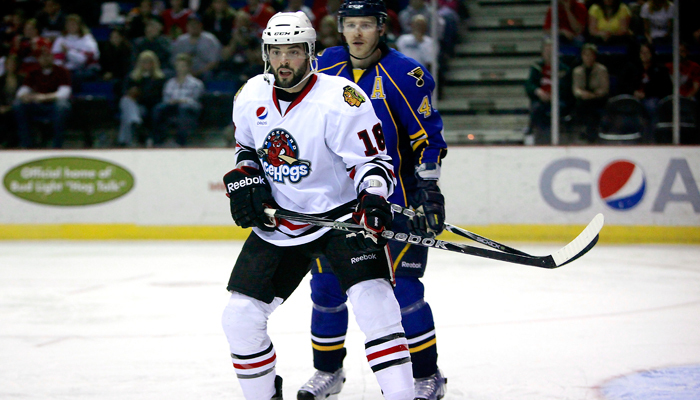 Rockford, Ill.- The Oklahoma City Barons' offense erupted with a four-goal middle frame and that was good enough to knock off the Rockford IceHogs 5-1 on Friday night at the Rockford MetroCentre. 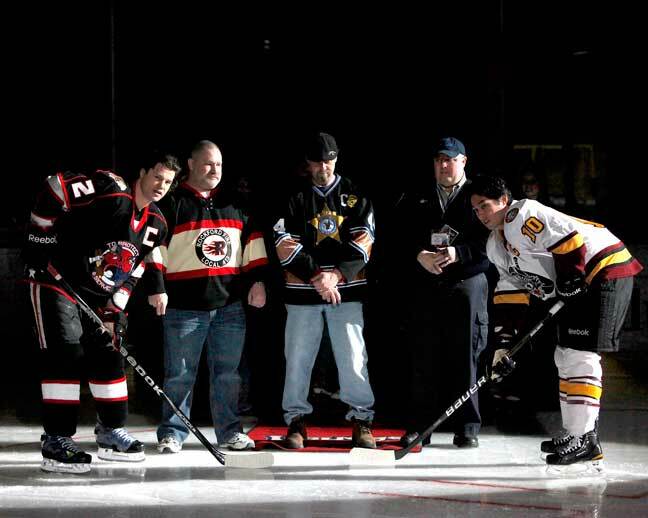 Bensenville, Ill.- The Rockford Icemen will try to make history tonight when they vie for their 15th straight Combined High School State Championship at the Edge Ice Arena in Bensenville. 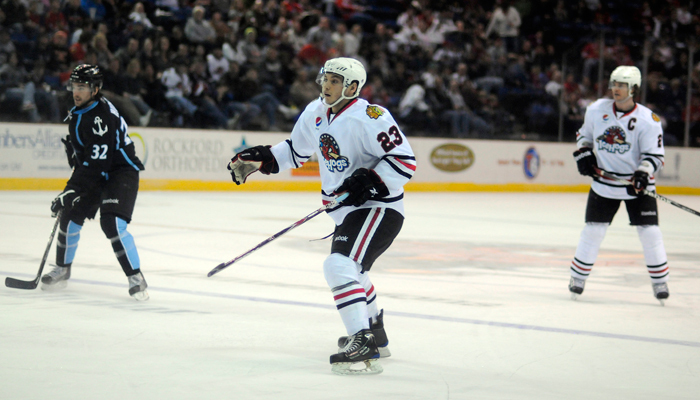 Rockford, Ill.- Posters, bobble heads, Girl Scout cookies and faith night all apart of the weekend when the Rockford IceHogs take on the Oklahoma City Barons Friday and the Peoria Rivermen Saturday at the Rockford MetroCentre at 7:05 p.m.
As a part of Faith Night on Friday night, the IceHogs will be holding a food drive along with the Rockford Area Lutheran Ministries and QFL. 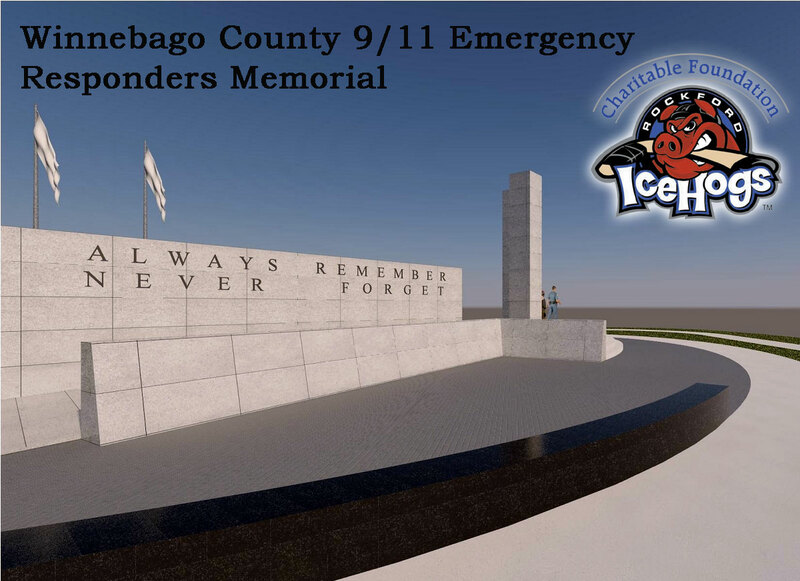 All fans that donate an item will receive a ticket to the IceHogs game Wednesday, March 23 at 6:35 p.m. Christian rock band, Time of Worship, will perform before and after the game and during the intermissions. 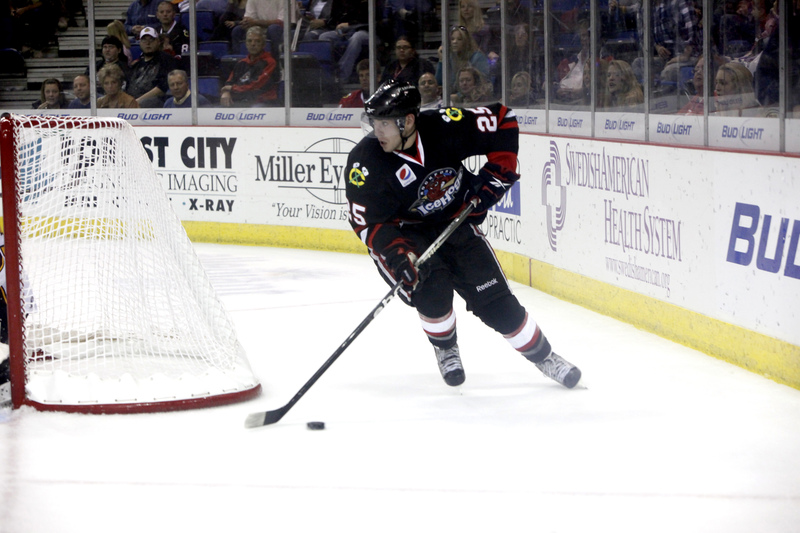 The first 1,000 fans to the game will receive an IceHogs poster featuring Brian Connelly, Shawn Lalonde and Ryan Stanton compliments of Comcast and Medicine Man. 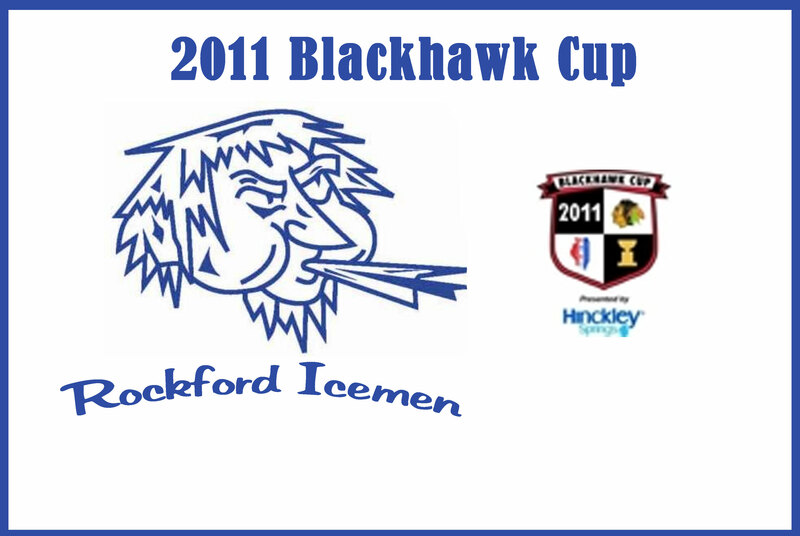 This is the fifth and final poster in the 2010-11 series. 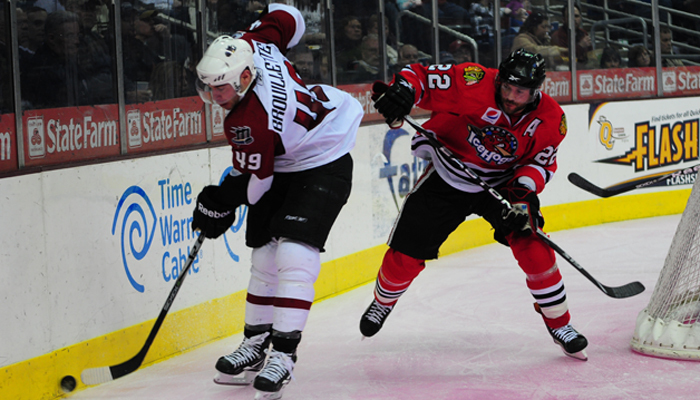 On Saturday, the first 2,500 fans through the doors will receive and Niklas Hjalmarsson bobble head courtesy of U.S. Cellular, WIFR and 97ZOK. 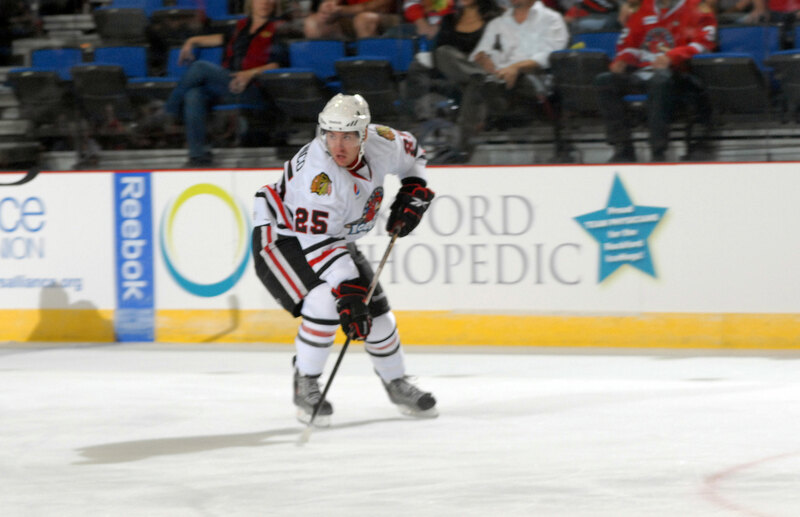 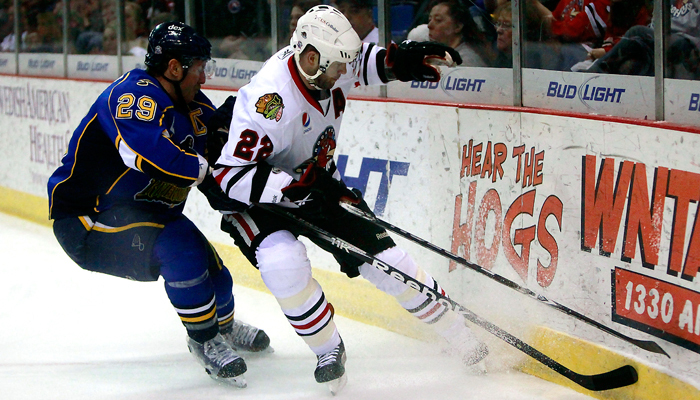 The former IceHogs and Current Blackhawks defenseman was the winner of the IceHogs fan vote bobblehead. 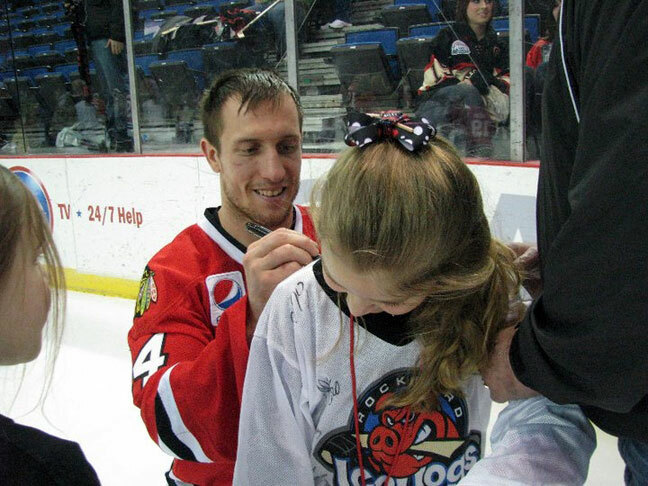 Also, it’s Girl Scout Night on Saturday. 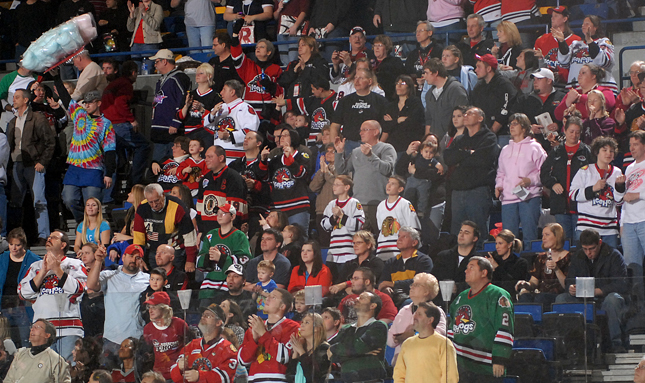 If you missed your chance to buy Girl Scout cookies or already ran out, Girl Scouts from the area will be on the concourse selling Girl Scout cookies with all proceeds benefiting the local Girl Scout Council. 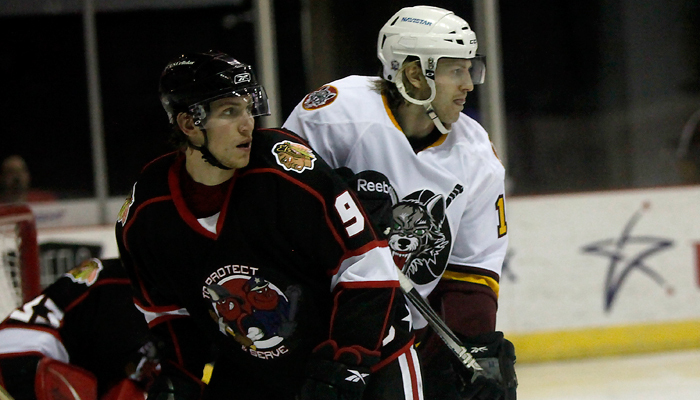 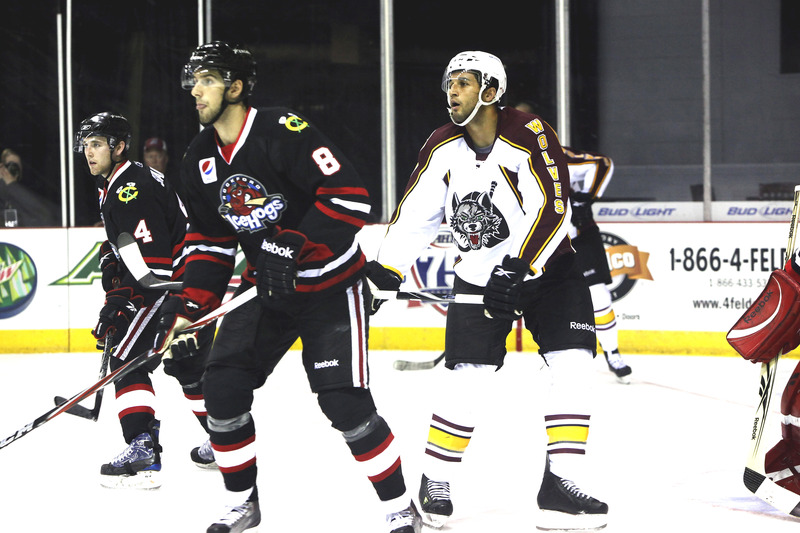 Rockford, Ill.- After seven-games and 14 days on the road, the Rockford IceHogs found themselves on the short end falling 5-1 to the Chicago Wolves at the Rockford MetroCentre in front of 5,642 fans. 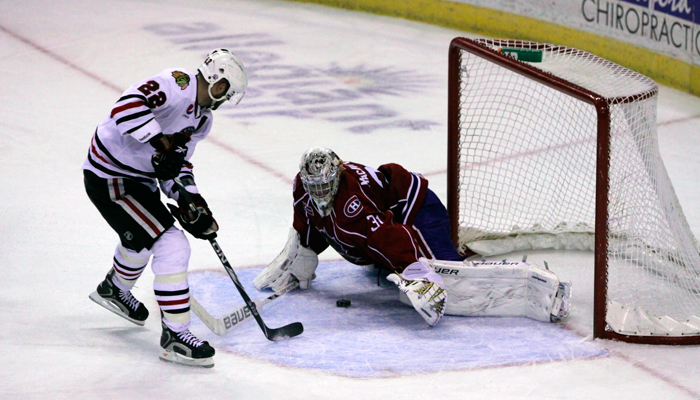 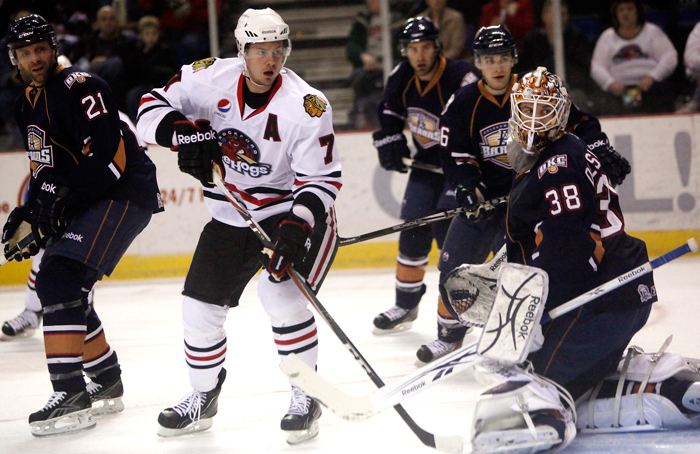 Toronto, Ont.-It had been nearly three months since the Rockford IceHogs had participated in a shootout. 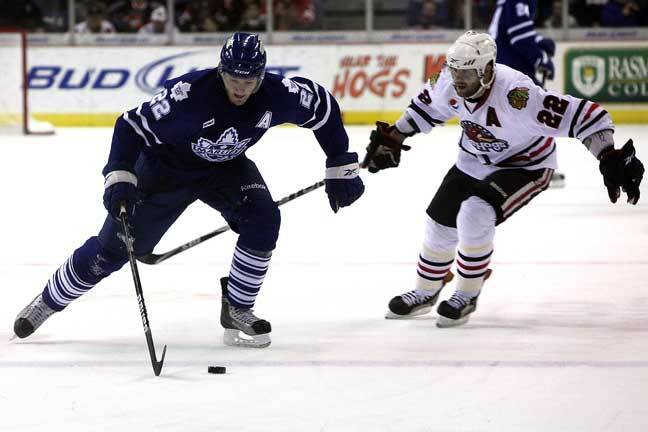 After a free-flowing regulation and overtime, Rockford fell 3-2 to the Toronto Marlies in the shootout at the Ricoh Coliseum on Tuesday. 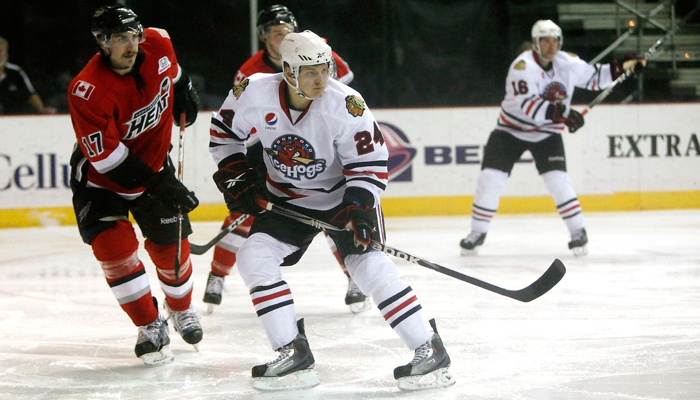 Hamilton, Ont.- The Rockford IceHogs, in conjunction with the American Hockey League, announced their 2011 Clear Day Roster. 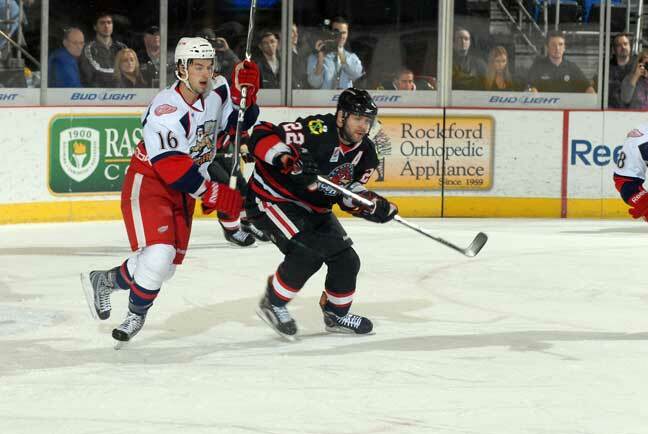 Each AHL team has 22-players on their Clear Day Roster. 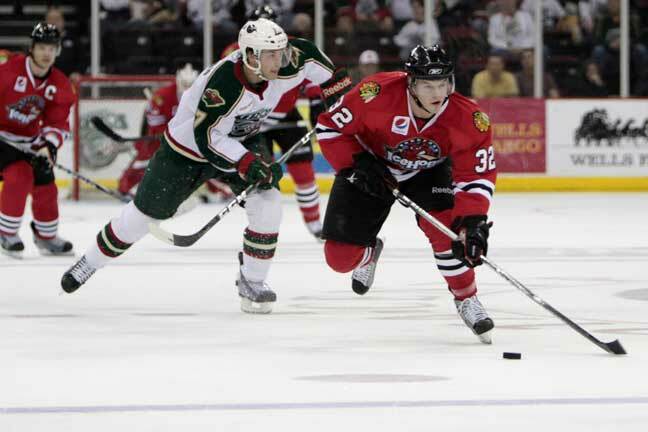 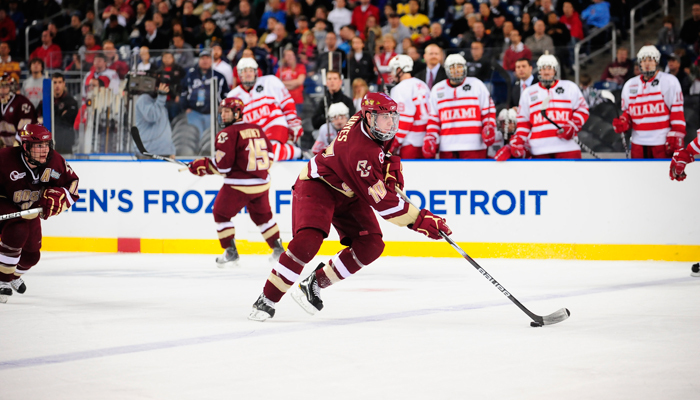 Cleveland, Ohio- No overtime was needed on Saturday night as Hannu Toivonen and the Rockford IceHogs held on to knock off the Lake Erie Monster 3-2 at the Quicken Loans Arena.